I got back from my Morzine Mountain Retreat on Sunday evening and had the best time with 10 fabulous ladies, who continued to amaze me during our time together. It’s funny, after a retreat, I often receive really lovely messages from the attendees telling me they feel amazing, thanking me for a life changing experience,and for the inspiration. But, the thing is, I get just as much inspiration from them!!! My Morzine Mountain Retreat kinda turned into an extreme sports adventure retreat, but because the girls chose it to be that way. I planned the retreat and thought we would do a bunch of yoga, sit in the hot tub, go on long hikes, eat delicious food and relax. Next thing I know, we are adding snowshoeing on the side of a mountain, skiing on the biggest and highest slopes I’ve ever been on and for some jumping off a mountain attached to a parachute (also known as parapenting) to the mix! The girls continued to blow me away with their willingness to try new things, to step outside their comfort zone and to face their fears and we talked about how important this was during our time together. I want to share with you 3 reasons why facing your fears is a good thing! 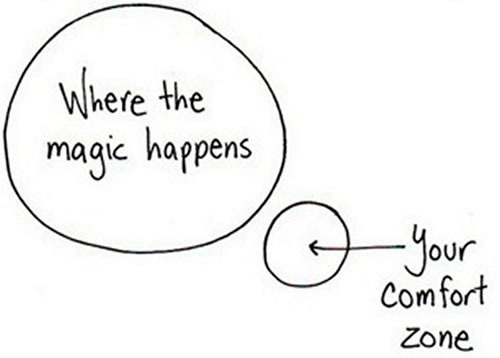 1) Magic doesn’t happen in your comfort zone. Your comfort zone is well…comfortable and so it’s easy to stay there, all snuggled up with your comfort blankie. But, if you want to really live and not just exist, you need to ditch the comfort blanket every now and then to push your boundaries and face your fears. 2) If we don’t face our fears, they stay scary or get even scarier. I’m not saying that there is anything wrong with fear or that it’s a weakness. Some fears are totally rational and fear is a necessary life saving emotion. What I am saying however, is that sometimes we let our mind run away with our fears and create them into something WAY bigger and scarier in our head than they actually are, which then creates stress and anxiety around said fear. And sometimes fear isn’t really fear, but it could just be that you are uncomfortable with change, don’t like new and unfamiliar things and all that goes with it. So instead of letting your imagination run away with fear, what if you invited whatever you are afraid of to tea and had a chat with that fear. You could talk to a friend about it, journal about it, voice that fear, talk it out with a therapist, get hypnotised, use EFT or whatever, but take an action step towards loosening the grip that fear has on you. And most importantly, don’t beat yourself up or see that fear as a weakness. Use love towards yourself when facing that fear, it’s nothing to be ashamed of. We ALL have fears. 3) That feeling of triumph, joy and pride after facing one of your fears and overcoming it is one of the best feelings ever. There is nothing better than being scared sh*tless of something and then being elated after you face that fear, conquer it and realise it wasn’t that bad after all. You feel like you are capable of doing anything! And, do you know what, you are. You are capable of anything, you just have to believe in yourself as much as everyone else does. 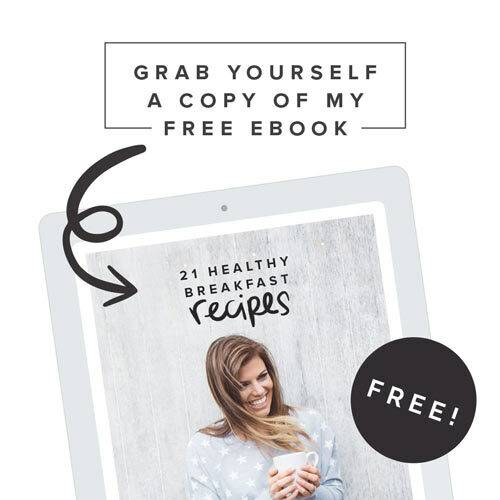 So, If you haven’t felt this feeling in a while, it might be time to face one of your fears and think about how it has been holding you back or affecting how you are living your life. I’d love to hear what you are going to tackle next! Shoot me a message or join me on a retreat and let’s get tackling those fears!